Be warned: Rats have a way of multiplying even if you do not breed them. 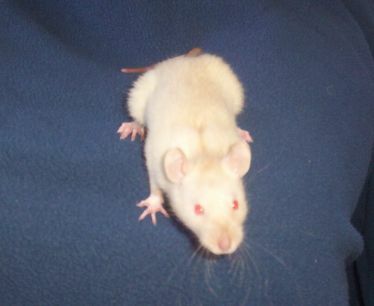 Once you won a rat, you will want another, then another... You will be in a pet store and think, "Oh I must have this cute little guy." Just be sure you have the room for the rattie, a cage, time for the ratty and the money to care for *all* of your ratties the way they should be cared for. Some times, for some people, one or two ratties is all they should have.